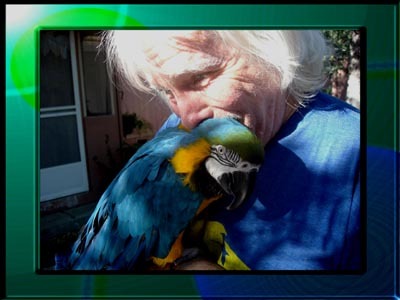 Michael Cox is a multi talented man with a heart of gold for all animals, particularly birds. Michael is a Vietnam Vet, having served as an Army Special forces soldier. He has always had a fighting spirit for doing the right thing. Michael has had many careers, however, he gave up the "business world" to dedicate his life to taking care of birds in need. He has worked with birds for over 50 years. To those familiar with his work, he is known as "The Bird Whisperer." Michael has performed "miracles" with the birds who came to him with broken spirits by turning these birds around and developing loving and trusting relationships with them. To those familiar with him on professional and personal levels, we know that he will do anything to help a bird in need. Michael provides his services and expertise for free; helping authorities get birds out of abusive or neglectful situations. He has saved several birds from being euthanized because other people / authorities felt that the birds were too dangerous to be allowed to live. By providing unconditional love and understanding Michael has rehabilitated these birds so that they feel secure and safe in their forever home in their sanctuary. Michael also offers help, either hands on or via phone/email for people going through difficult times with their birds. Michael takes any opportunity to teach kids about birds and the importance of being gentle and giving kindness and love to the birds. He is always present for the "Kids Day" events in his community to show the birds and teach the kids about them.... the adults love it too! Michael is a self taught musician, and plays 32 instruments proficiently. All of the music in the CD's available on this website was written and performed by Michael and tested and approved by the birds at their sanctuary. I am honored to be able to write this and share a little glimpse into the heart and life of Michael Cox with you. 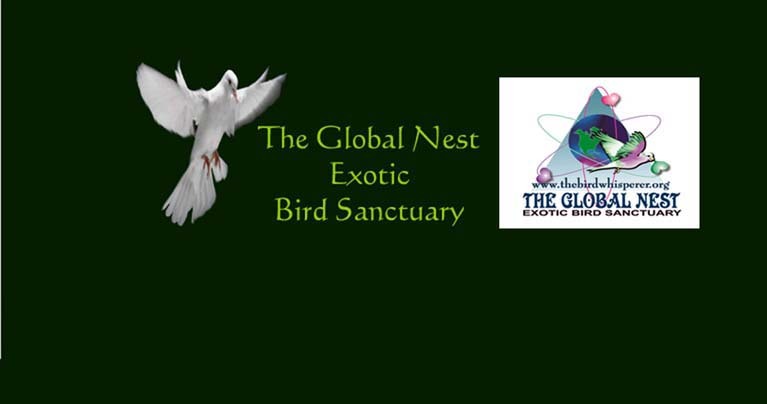 The needs are great when taking care of so many birds, so I hope that you will support the efforts at the Global Nest Exotic Bird Sanctuary in any way that you are able.